Why Should You Take This OSHA 10-Hour Construction Industry Course? The Occupational Safety and Health Act was enacted to provide on-the-job safety and health conditions for American employees. The act established the Occupational Safety and Health Administration (OSHA), and assigned it a general duty to ensure that employers keep their workplaces free from hazards likely to cause death or serious harm to employees. The act also gave the Secretary of Labor the authority to impose more specific duties or standards to certain high-risk industries by adopting additional standards if necessary. 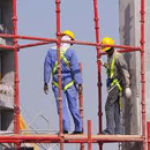 Despite overall improvements, annual accident statistics have shown that the construction industry remains one of the most hazardous to workers. Each year, more than 1,000 construction workers die and 400,000 more suffer injuries or illnesses on the job. Because of this, the Secretary of Labor, in conjunction with OSHA, set forth specific standards for the construction industry. These can be found in 29 CFR Part 1926. The construction industry standards designate the specific conditions required by all construction-industry employers. The standards are revised annually and cover a variety of construction work and processes, from residential to commercial. Construction-industry employers are legally bound to comply with these standards, as well as any related 29 CFR Part 1910 general-industry standards that also apply. This course is intended to provide an entry level construction worker general awareness on recognizing and preventing hazards on a construction site. The training covers a variety of construction safety and health hazards which a worker may encounter on the job. OSHA recommends this training as an orientation to occupational health and safety. Workers must receive additional training on hazards specific to their work. Training should emphasize hazard identification, avoidance, control, and prevention. Q: Why can I be cited under a general-industry standard when working in the construction industry? A: Although 29 CFR 1926 covers a variety of construction standards, hazards still exist that are not included. In order for OSHA to properly address these hazards and protect employees, they do cite employers under both standards when necessary. Q: How does an employer know whether it is covered by the general-industry or construction standards? A: Copies of the standards are available for purchase from OSHA, or they can be downloaded free of charge from OSHA's website. Both 29 CFR 1910 and 29 CFR 1926 are easy to follow, read and access through OSHA's user-friendly site. Please Note: Â›One constant in OSHA law is that all employees are to be trained on the hazards of their jobs before they start work (HAZCOM). Â›A Contractor selects specific training based on the needs of his workers and the potential hazards on site. Â›After an employee has initial training, employers must consult the Code of Federal Regulations for annual or specific incremental requirements. Workers who are exposed to greater potential harm have more frequent retraining. Global Environmental Network, Inc (GENI) has been providing Health and Safety Engineering, Consulting, and Training services since 1992, and has grown tremendously in presence in the municipal, utilities, oil, gas, construction and engineering sectors. GENI's ability to integrate customized, project specific services while constantly evaluating the services ensures our ability to meet or exceed the most rigorous guidelines available. With multiple course types and talented instructors with diverse backgrounds, GENI is your source for high quality safety training in California.